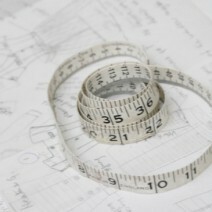 Take your own measurements and use them to make a template from which you can create any style of trouser pattern. Then adjust it to create a limitless range of your very own designer trousers.An understanding of how patterns work is an essential part of becoming a good dressmaker. It will save you time and trouble, ensure a good fit and help you unleash your inner designer.This class is aimed at confident sewers, you will get the most out of it if you have used commercial patterns before and have some experience in making trousers, however unsuccessful! To start the day you first learn how to take specific, accurate measurements to create a trouser block, you will then sew yourself a unique toile (sometimes called a muslin) to try on for size. from this toile small adjustments might have to made to make the perfect fit and you will be show how to transfer these adjustment onto your paper pattern. Alice will talk you through how you can now adapt this pattern to create any style and design a limitless range of your very own trouser!Tools and materials are provided and refreshments will be laid out for you throughout the class.